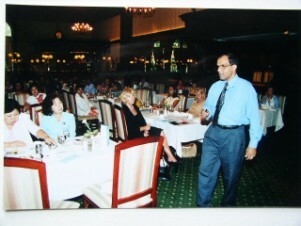 Astrology seminar & discussion in Shizuoka, Japan (150 Km west of Tokyo). 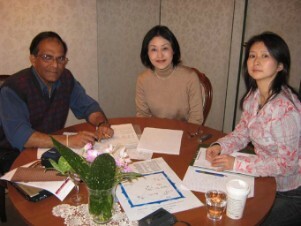 Astrology face-to-face consultation in Japan with an interpreter. 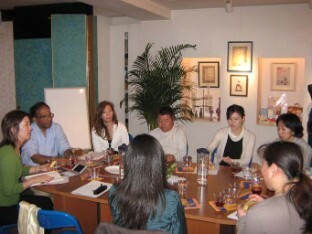 The well known New Age Shop in Soho- Central Hong Kong where I offer astrology consultations. Metaphysical book store and library at the New Age Shop, Hong Kong. My beloved loving father and mother. 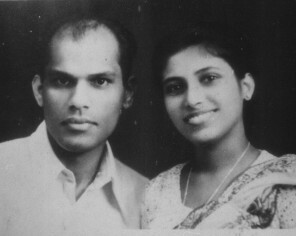 Photo taken in 1947 in Sri Lanka. 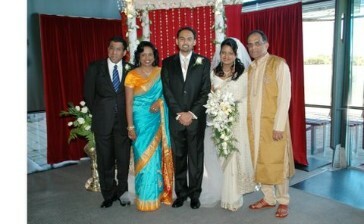 My family (from left to right): Son Mahesh, me, my wife Priyanthi, my son-in-law Heshan and daughter Piumi. 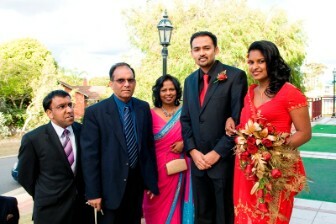 Family photo taken at my daughter's wedding in Perth - 2008 Dec.
Alms-giving at home in Perth to the Buddhists monks of the Sri Lankan Temple, Perth. 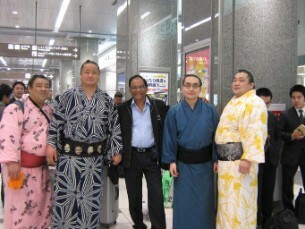 With sumo wrestlers in Japan.